Advertiser for the project has shared and consented to publishing this detail.99acres is only a media platform displaying information supplied by the source including state HIRA website, information shared by seller etc. Kindly authenticate this information independently. Unimark Springfield Kolkata is a residential project, which is the result of the joint venture between Unimark Group and LGW and MBPS Group in Rajarhat, East Kolkata. Invest in these wishfully designed 2 and 3 BHK apartments, which boast of the best of industry specifications. Springfield Kolkata is among the most popular projects in the region. 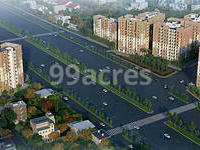 It is sprawled over 8 acres and has 797 units on sale. Springfield has 15 residential blocks, with 10 floors in each block. Rajarhat is a locality which sits close to the Kolkata airport and is also known as New Town. It is the satellite city of Kolkata, which is well designed and developed to facilitate urban lifestyle to the residents. Rajarhat has a well-knitted neighborhood and a well-developed social infrastructure including schools, hospitals, and shopping malls, among others. Kolkata is one such metropolitan city which has a number of residential properties in the affordable range. Apartment culture has been picking up in the city and the buyers are mostly looking for properties which are either furnished or semi-furnished. Besides, the locations which ensure smooth connectivity with the important city locations have also attracted buyers, without a doubt. Based on the east shore of Hooghly River, Kolkata defines culture and festivities. It is the main financial and commercial hub of North-East India. The strong transport network and ferrous infrastructure have listed Kolkata in top Indian city in terms of the well-planned public transportation network. From residential apartment to luxury homes, Kolkata offers a variety of option to the home-buyer. The property rates in Kolkata is much lower in comparison to other metropolitan cities of the nation. The city has received positive sentiments in demand of real estate. In the July - September quarter of 2015, the average property rates were Rs. 4000 per square foot in Rajarhat, while in the April June 2015 quarter, the average property rates stood at Rs. 4050 per square foot. For the January March 2015 quarter, the values were Rs. 3950 per square foot. 2 BHK apartments - 923 - 983 sq. ft.
3 BHK apartments - 1160 - 1417 sq. ft.
2 BHK apartments at Springfield Kolkata are available between Rs. 38.56 - 39.81 lakh, while the 3 BHK units are priced at Rs. 53.26 lakh. Springfield Kolkata brings in some of the basic as well as premium specifications such as lift, 24/7 water supply and power backup, firefighting systems, intercom, car parking, gymnasium, club house, children's play area, sports and fitness facility, landscape garden, sewage treatment, ATM, laundry, video door security and water softener plant. Springfield Kolkata Construction Status: Possession in June 2018. Headquartered in Kolkata, Unimark Group is a leading Indian realty group with an upcoming project portfolio of over 15 million square feet, constructing hi-tech commercial buildings, residential complexes, world-class IT parks and modern integrated townships, totaling over Rs. 10,000 crores. The company has developed more than six million square feet in Kolkata, Bangalore and Chennai. Where is Unimark Springfield located? The project is located in Rajarhat, Kolkata East. What size of flats are available in Unimark Springfield?  The apartment sizes in the project vary from 923.0 sqft to 1412.0 sqft. 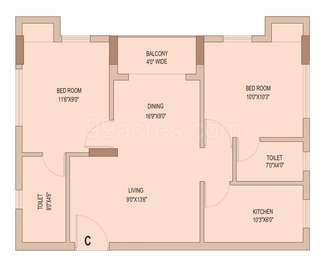 How much is area of 2bhk in Unimark Springfield? 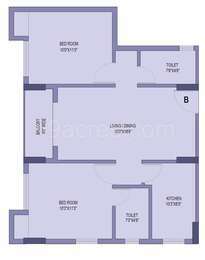 Two-room units (2BHK) in the project are available in an area of 923.0 sqft to 1256.0 sqft. What is size of 3 bhk in Unimark Springfield? The area of 3 BHK apartments ranges from 1160.0 sqft to 1412.0 sqft. What is total price of 2 bhk in Unimark Springfield? The price of 2 BHK units in the project ranges from Rs. 3784300 to Rs. 5149600. 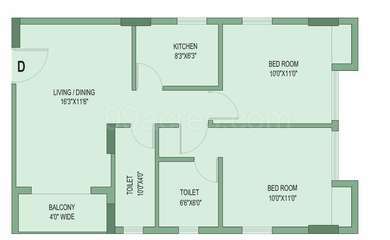 What is the 3 bedroom price in Unimark Springfield? The project offers 3 BHK units within Rs. 4756000 to Rs. 5789200.
you to get in touch with the builder's representative or contact a local broker. Dear Pradipta, you should take a site visit before investing in a property. Request you to get in touch with the builder's representative or contact a local broker.